Set your DVR for the Golf Channel's Morning Drive on July 11th. 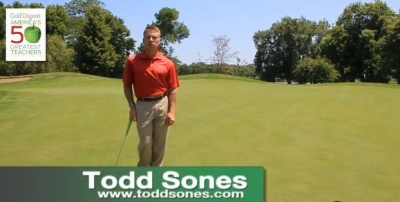 Todd will be doing a live segment on the difference between a power sequence and a finesse sequence. Congratulations to Thad Malik and Collin Carrico for winning the Butler Invitational over the weekend and to Alex Harrison for shooting a personal best of 71 at the Bowes GC! 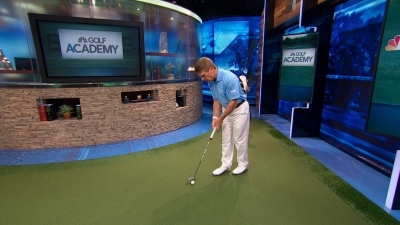 Golf Channel Video: Rotate,Tuck,Tilt with putter. This week as I watched Tiger make many more putts than he has the last couple of months, it did seem to me that his hands were higher, aligning his forearms with the shaft of the putter. It is my belief that when the shaft and forearms create a straight line, the player maintains greater control of the clubface during the stroke. Watch this video and learn how. 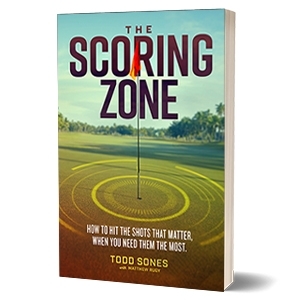 You can order my book "The Scoring Zone" two different ways by clicking on the picture below.